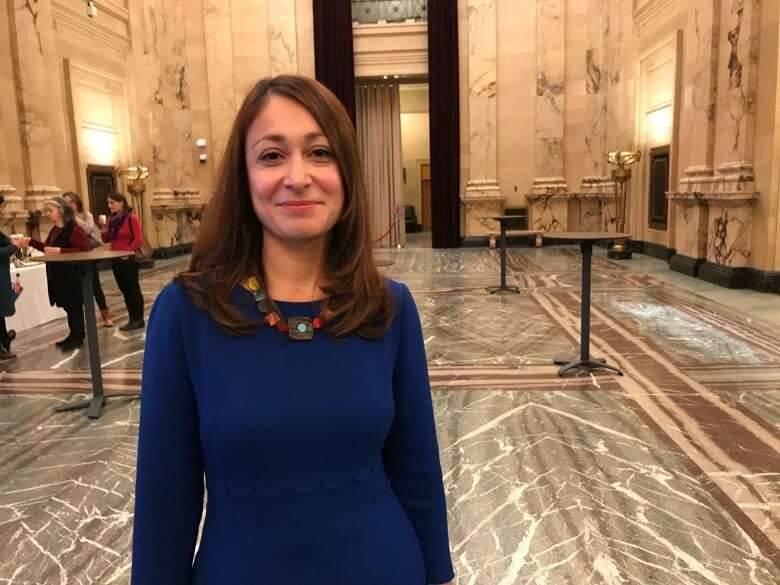 The City of Montreal is taking steps to get more women, young people and minorities on municipal and para-municipal boards of directors, and is encouraging private organizations to do the same. On Friday, the City announced a new initiative to bring greater diversity to municipal bodies. The City has created a new bank of potential candidates for boards that includes qualified people from different backgrounds. Speaking at City Hall Friday morning, Mayor Valérie Plante said that this bank of names is "a new tool in our tool box," calling it a resource that boards will draw from to fill open positions. "We want to have more representation in the City of Montreal and that starts with a bank of candidates," said Plante. She said that the city wants to share the list of experienced people it has created with any other organizations who are looking to diversify their board. ​Sherazad Adib is the senior director at a Montreal-based organization called Catalyst that helps to promote diversity and inclusion within companies. She said that there is a lack of diversity on boards of directors and that bringing in a wider range of candidates can only be a good thing. "We have this tendency of going and recruiting people who are like us, so we end up with the same type of people on our boards. So we want it to be less homogeneous," said Adib. With files from CBC's Elias Abboud.